Acid reflux can affect anyone, from infants to adults. If you experience acid reflux often, more than twice a week, you may have a chronic condition referred to as gastroesophageal reflux disease, or GERD, and may consider any treatment to help you manage the discomfort. Unfortunately, pickle juice may not be the cure you're looking for. Consult your doctor to discuss how best to manage your acid reflux. A search of the Internet may lead you to believe that taking a tablespoon of pickle juice is the cure that helps ease your acid reflux. According to the People's Pharmacy, it's not the pickle juice itself but the vinegar used to create the juice that helps your reflux. There's no evidence to support this home remedy for acid reflux, however, according to a 2008 article published in the Washington Post. 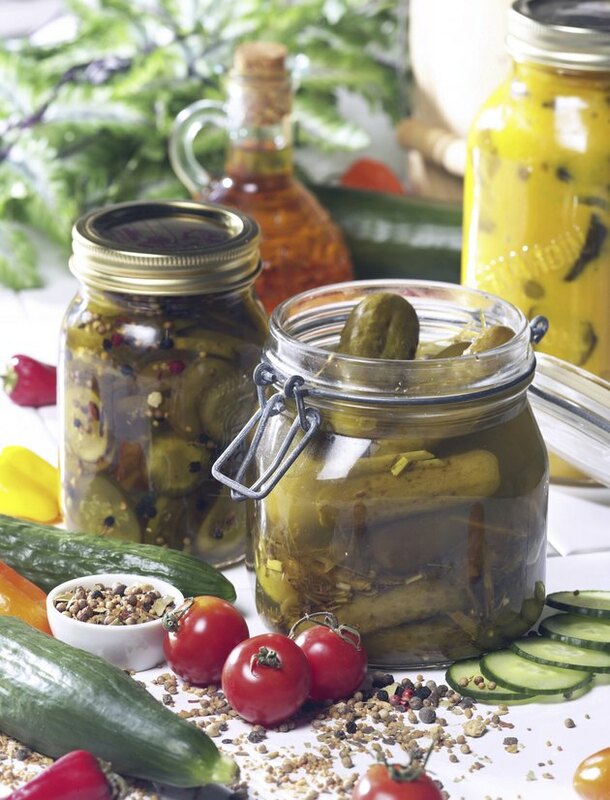 Not only is pickle juice not a cure for your acid reflux, but it may make you feel worse. While everyone's tolerance to food varies, some people may experience a flareup of their acid reflux when they consume acidic foods such as pickle juice according to Jackson-Siegelbaum Gastroenterology. If other acidic foods, such as vinegar-based salad dressing or orange juice, give you a problem, you may have similar results if you drink the pickle juice. While the pickle juice may not help your symptoms, there are changes you can make to your diet that may help prevent the onset of your reflux. Keeping your meals small may help prevent abdominal pressure that often leads to reflux. Also, foods high in fat, as well as peppermint and chocolate, tend to aggravate acid reflux. And like the pickle juice, coffee, tea and cola may cause problems in some people. Unlike vinegar, pickle juice is high in sodium. If you're taking pickle juice as a home remedy, it's important to take the amount of sodium into consideration. Although your jar of pickles may not indicate the amount of sodium in a serving, 1 tablespoon of pickles has 43 to 72 milligrams of sodium. Americans already consume more sodium than they need, according to the publication "Dietary Guidelines for Americans, 2010." Getting too much sodium increases your risk of developing high blood pressure.